I’m starting a series of posts that will talk about sermons topics I wish would be taught on a regular basis – every year or perhaps even every quarter. These are the key truths that seem to be the linchpin to unlocking vast treasures of understanding – at least the way I see it (it is my blog after all). The first one will be no surprise to those that know me: MARGIN. 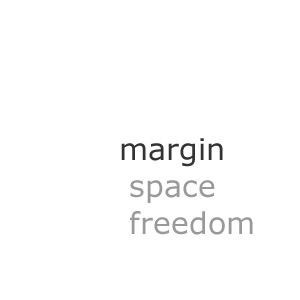 Margin, by definition, is extra space allocated for a particular reason. We see it in books, roads and even in how the chairs are arranged at church. Have you ever seen a book where the words ran right up to the edge of the paper? It’s maddening to try to read – your eye has an extremely hard time transitioning from one line to the next. Or been driving in a construction zone where the road narrows and there just isn’t much room between you and oncoming traffic? Or sat down to someone and felt like you were too close? Principle One: The lack of margin requires that you pay extra attention to the edges. Margin in our schedule is probably the one that we just hear and shake our heads at and say, “Yep – I know, but I’m simply too busy.” We know that we are running too hard and are missing life as we hurry along. Strategies and principles of how to create margin in one’s schedule is needed. Financial margin is another place where we know the good of it, but don’t have any idea how to achieve it. Unless you have a money tree that you haven’t planted, obtaining financial margin will require some very hard lifestyle choices that hurt on the front end, but bring freedom in the end. Moral margin is not talked about much, but it is simply staying far away from situations that pull you into the deep weeds. We live in a world that is ruled by one who would love nothing more than to see you and I be pulled into something that takes us out of the game. Thinking strategically about this area is what we need help with. Finally, margin with our physical energy is something that is tied to all other areas. We are either too busy or too stressed to do what is right for our physical bodies. Physiologically, our bodies need rest. When we sleep soundly, our body goes to work repairing all of the crap we do to it when we’re awake. If we either don’t get enough sleep or aren’t able to sleep deeply, that regenerative process can’t accomplish its goal. The results are numerous and affect our lifestyles greatly. Margin isn’t just a concept to be admired from afar and it’s not a fairy tale either. It is a choice. A personal choice. A personal choice between life and death – literally in some cases and we need our spiritual leadership to lead by word and example to embrace the importance of margin. 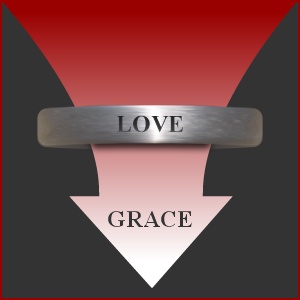 Margin is simply putting space in one’s life that is left for God to fill as He sees fit. The margin-filled life is the key to experiencing God’s spontaneous nature and associated blessings..as we go.